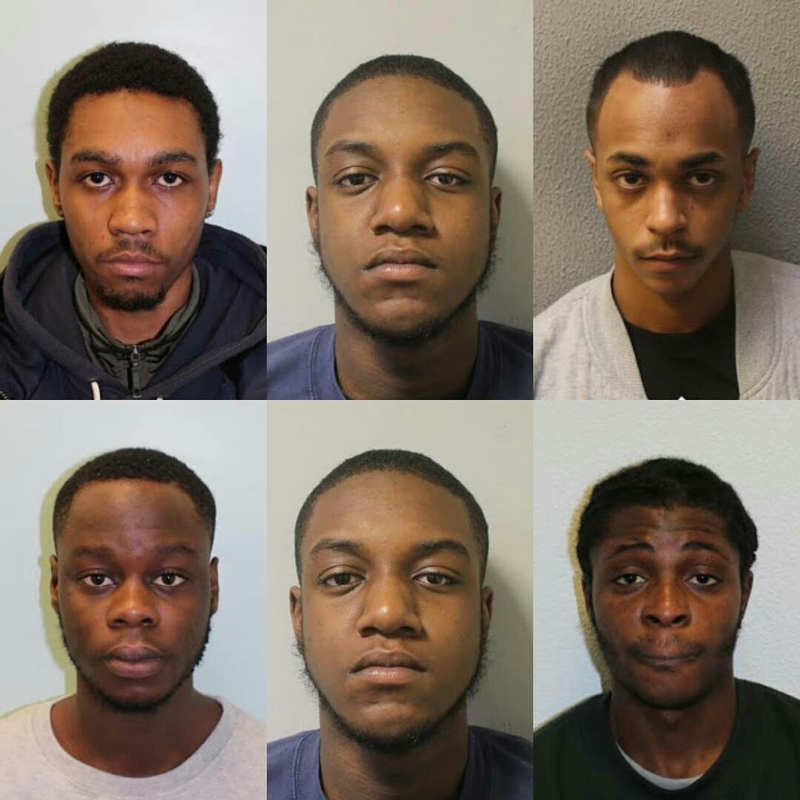 The gang members including two Nigerians Harry and Collins Olabode, were sentenced at Isleworth Crown Court on Friday, 9 June in relation to various drugs and firearms offences after a protracted investigation by the Metropolitan Police's Trident Central Gangs Unit. In July 2016 an investigation was launched by the Trident Area and Crime Command, after the officers ascertained that a local gang known as the 'Thatched House Thugs' were dealing Class A drugs on the Avenue Estate, E11 in Waltham Forest. The operation by Trident Central Gangs Unit led to a number of arrests in October 2016 and ultimately resulted in the following convictions; [A] Winston Male, 25, of St Albans Avenue, Newham was convicted of Conspiracy to supply Class A drugs and was sentenced to seven years imprisonment. [D] Harry Olabode, 18, of Arrowsmith Path, Chigwell was convicted of conspiracy to supply Class A drugs and false imprisonment. He was sentenced to three years imprisonment. [E] Musa Streadwick, 18, of Atherton Road, Newham was convicted of false imprisonment and was sentenced to 15 months imprisonment. [F] Warren Thomas, 21, of Snowberry Close, Waltham Forest was convicted of the supply of Class A drugs and was sentenced to three years imprisonment. 0 Comment to "Gang of eight drug dealers including two Nigerians jailed for over 30 years in the UK"